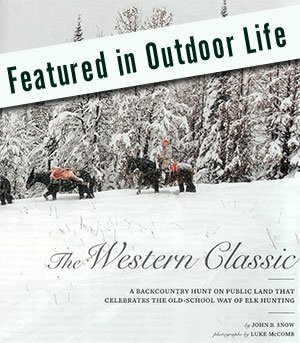 At WCO we offer our clients the opportunity to hunt out of two remote hunting camps. Our lower camp is 4-wheel drive accessible and serves as the base camp for our upper hunting camp. 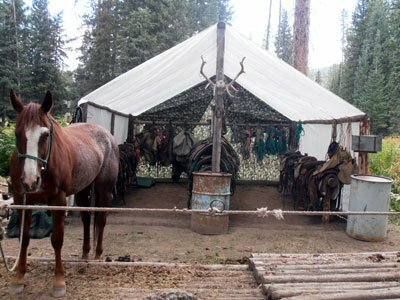 Upper camp is only accessible via a day horseback ride in through the mountains. 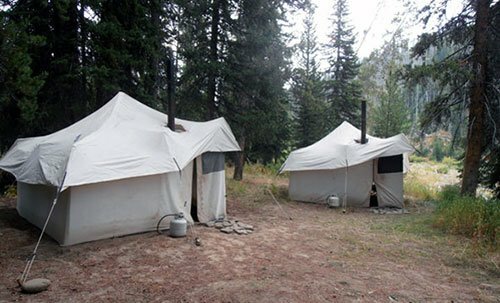 Wall tents are set-up in both camps, sleeping two to three hunters per tent, and are equipped with wood stoves, lanterns, cots, sleeping pads and hanging racks. 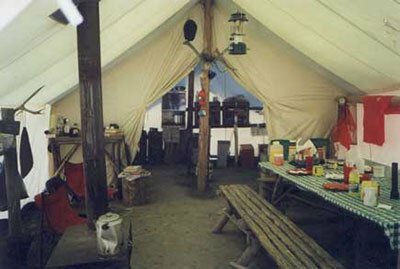 All meals, except for lunch in the field, are served family-style in our cook tent. Our in-camp cook prepares hearty, home-style meals that can be tailored to any specific dietary restrictions. WCO is proud to own all of its livestock and takes great pride is providing you with experienced and knowledgeable horses and mules to guarantee you as much comfort in the saddle, as in camp. 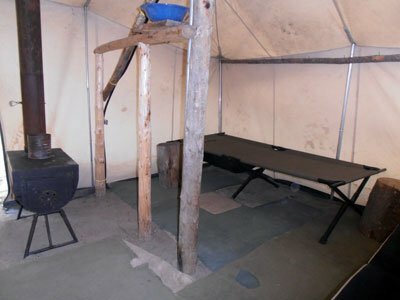 With our fully staffed camp, restful accommodations and dependable livestock, the only things required of the hunter to bring are a sleeping bag, rifle and personal gear. Our hunts are challenging both physically and mentally. Significant time each day is spent on horseback and hiking through the wilderness at high altitude. Conditioning prior to the hunt is important and will better allow you to enjoy your experience.